Talk about creepy. Newsweek Magazine is doing a commemorative piece on Diana, The Princess of Wales, who would have turned 50 this Friday. The story, by Newsweek's Editor-in-Chief and Diana biographer, Tina Brown discusses what Diana's life would have been like had she not died in 1997 at the age of 36. Newsweek decided to further illustrate her would-be life by superimposing a digitally-aged photo of the Princess at age 50 with her now daughter-in-law, Catherine, The Duchess of Cambridge. The original of this picture is actually a photograph of Kate Middleton with her sister Pippa walking together after attending a friend's wedding. 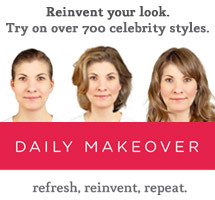 Umm..SO creepy and so tacky. 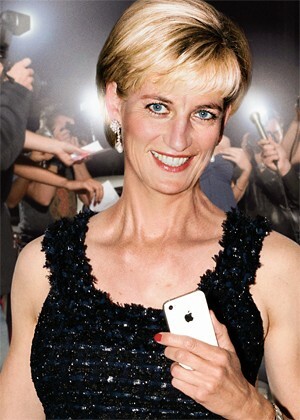 I get the obsession and fascination with Diana. She was the People's Princess and was loved and adored by the whole world. She was a beauty and fashion icon, a humanitarian and a royal, who unlike others, showed us her vulnerabilities and flaws with grace and dignity. The royals have fascinated the media and public for years. 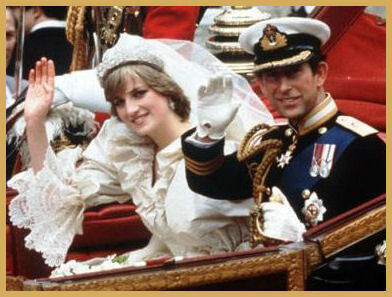 Charles and Diana's wedding was televised and seen by over 750 million people across the globe while 600,000 people lined the streets to watch them. 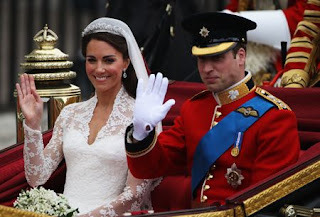 Their marriage and subsequent relationship captured everyone's attention and now William and Kate's own celebrated nuptials and poised, down-to-earth relationship has done the same. Kate is what the public has been looking for in Diana's absence and while she can never replace the Princess of Wales, she does possess the same beauty, grace and charm as her mother-in-law. But, was it really necessary for Newsweek to take the public's royal obsession this far? They knew the cover would cause controversy and sell magazines so perhaps that was their real objective. 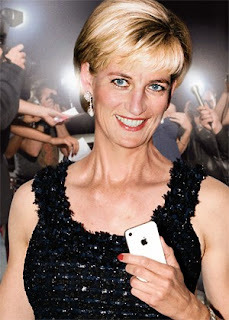 Tina Brown speculates on detail after detail of what Diana's life would be like now including her preference for Botox and her ability to mix casual and glam fashion a la Michelle Obama. She suspects Diana would probably have been remarried at least twice, she would be a power player at the Clinton Global Initiative and would even have reconciled with Prince Charles. She says although Diana would have slightly jealous about the media attention surrounding Kate Middleton, she would have learned to share the spotlight and even become a firm defender of the Middletons against the palace snobs. While the article is an interesting take on this adored public figure, the cover photo is outrageous. Shame on Newsweek. The image of Diana-risen from the dead, fourteen years older and casually walking with Kate Middleton is honestly too creepy and eerie for words. What do you think about the photo? Are you more inclined to read the article!? Thanks to the Hollywood Reporter and People for the deets on this bizarre story.